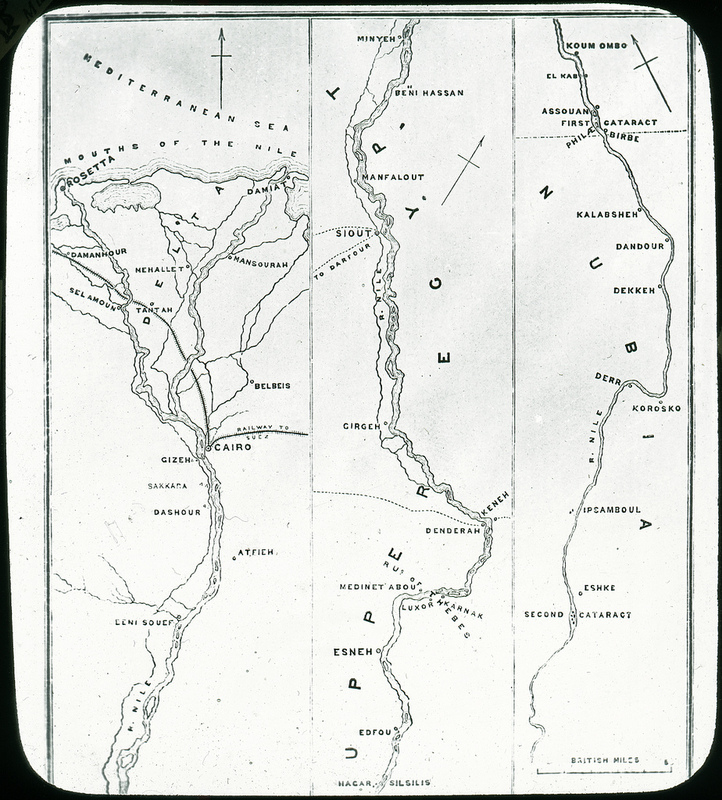 Frank Mason Good, Map of Egypt on a Lantern Slide, manufactured by York and sons, (London, ca. 1880). Size of the original: 8,2 × 8,2 cm.